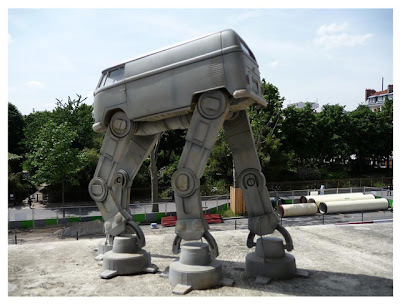 This Volkswagen AT-AT Microbus sculpture was spotted by tech journalist Jack Schofield. While the exact origin of this elephant-like monstrosity hasn’t yet been discovered, it’s definitely fun to look at. If the photo is accurate, then someone has built a huge sculpture that features a VW bus that’s been modified to walk on AT-AT legs. 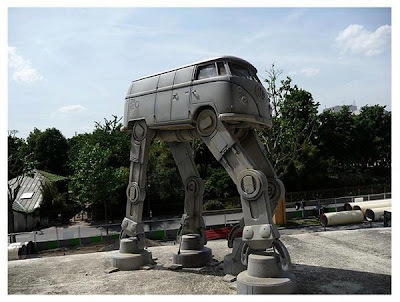 The best use I've ever seen for a VW bus!